This is an exhausting book because you want to race through it and it makes every part of your reading brain to fire on all cylinders. It smashes together the ultimate thriller, science fiction and urban fantasy, so it doesn’t really matter which genre you prefer this book will give you a great ride. I think the Womb is my favourite part, it’s an ultimate virtual reality game which creates a high octane reality. Then, on the other side of the Atlantic, there are people who are working towards redemption through a paranormal adventure that takes you to the end of our life, witnessing all your mistakes, so you can prevent them from happening again. Amongst all this, the Fantasy Man appears and challenges humanity to save itself before he destroys us all. It has some truly unique concepts that combine to create a great read. 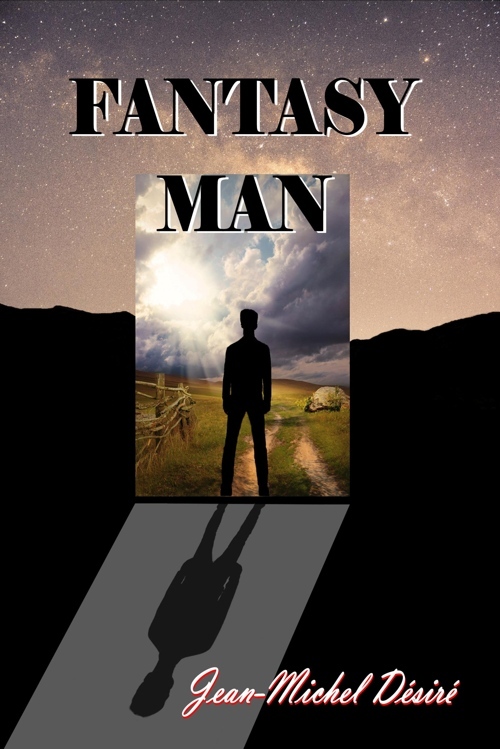 For a debut novel, Fantasy Man has all the hallmarks of an experienced storyteller forcing the reader to become lost in the world building is indicative of a good book. The high concepts – faith, hope, redemption, what is good and evil – draw together through the characters, some of whom you will love to hate, others you’ll just love. It’s a story that pulls together ancient and modern concepts of magic and science and has some marvellous plot twists which all combine at the end to give the reader a sense of hope – but only if we take the opportunity. High concept science fiction, fantasy and thriller, but it’s accessible, exciting and full of action. It’s a great read whatever genre you enjoy.